In 2017, Coloma passed a rigorous assessment to attain the World Class Schools Quality Mark. A World Class School produces students who are highly literate scientifically, mathematically, technologically and culturally and are committed to continually improving their performance. They are compelling candidates in their field for higher education and employment and are globally aware, confident and prepared for life in an international environment. The assessment included an initial inspection visit and an assessment of prior performance data over time. Secondly, a team of Coloma student ambassadors undertook a full audit of the school, finding multiple examples and evidence to meet the quality standards, which were highly commended by the assessors. Following the audit stage, student ambassadors attended the Final Assessment Day at the Wren Academy in North London, where they had to demonstrate advanced teamwork and organisational skills. The assessment took place against a demanding and thorough framework over 8 hours and the students were praised for their calm and purposeful work and were a true credit to Coloma. Their final video on how Coloma embodies the World Class Standards was transmitted at the Awards Ceremony, held at St Bartholomew’s Hospital, Queen Mary University London. The students also had the opportunity to hear an inspiring lecture from a Cambridge academic, Dr David Bainbridge, Director of Studies in Veterinary Medicine. Coloma is now working through the opportunities this new Mark brings to pupils through local and national businesses who support the award and through collaboration with other World Class Schools. 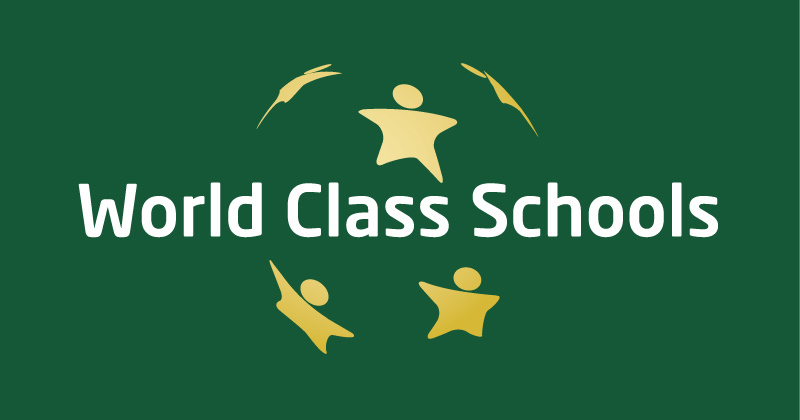 Miranda Perry, co-director of WCSQM said, ‘The Mark is about recognising how well the top secondary schools in the country prepare their students to thrive in the 21st century. We are confident that our awarded schools provide their students with the best life chances possible’.